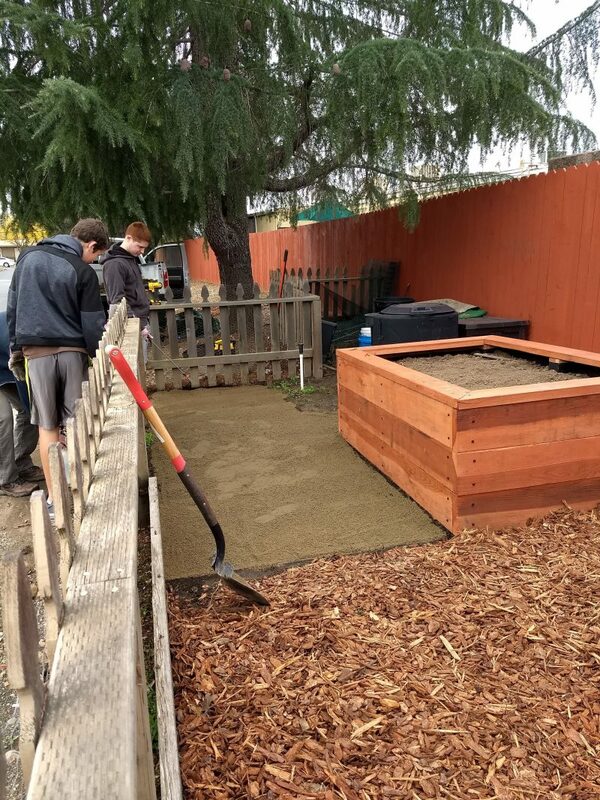 In November, the Folsom Garden Club (FGC) awarded a total of $10,500 in nine non-profit projects. The Grants Committee has now received the first final report on this years grant funded projects. 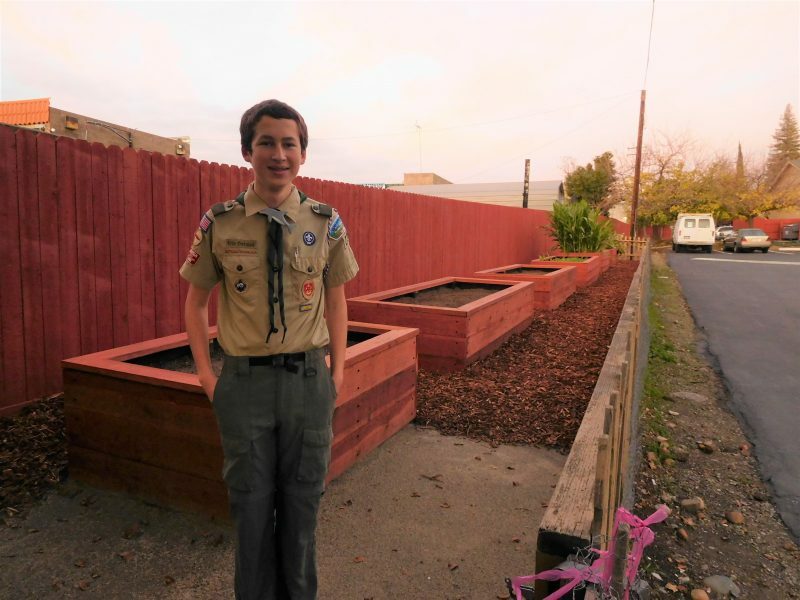 Eagle Scout candidate, Eric Ostdiek, received a $1,019 grant to expand and improve the community garden at Folsom Gardens Apartments (a nonprofit affordable housing community). The garden’s growing capacity was increased by building, installing and filling 3 newly built raised beds with soil. 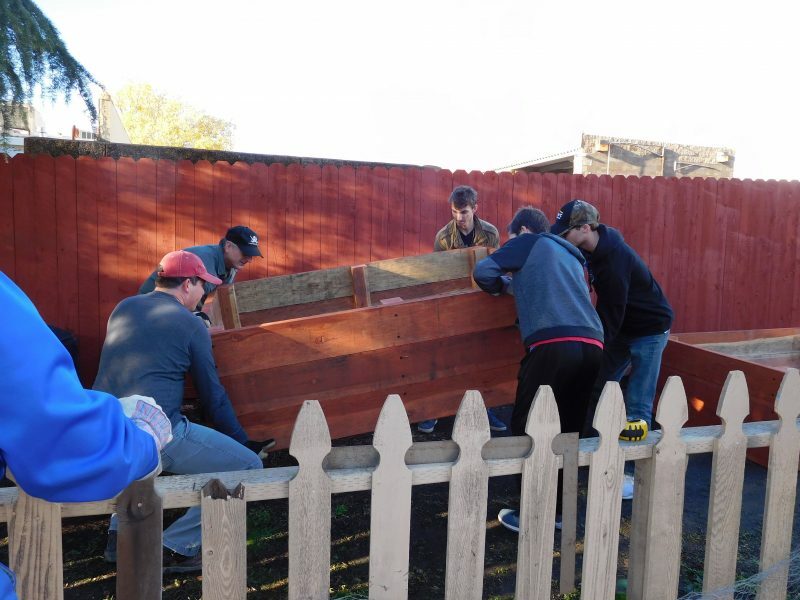 As a result of the project, the residents now have 3 additional raised beds for spring planting for a total of 6 growing beds. The dirt walkways in the garden were covered with weed fabric, bark, and decomposed granite to improve accessibility. The areas with bark allowed the residents to use the garden after the rain. A small area of decomposed granite was laid to allow residents with walkers to use the first garden bed. Erik also expressed his gratitude to the Folsom Garden Club for supporting his project. As a result of the grant award, the garden can now be used even with all the rain and the planters will last for years. He will be checking in periodically over the next couple of years to make sure his work holds up and will make any needed repairs.